The RTG is a faithful reissue of the rare EHX synthesiser first introduced in 1980. 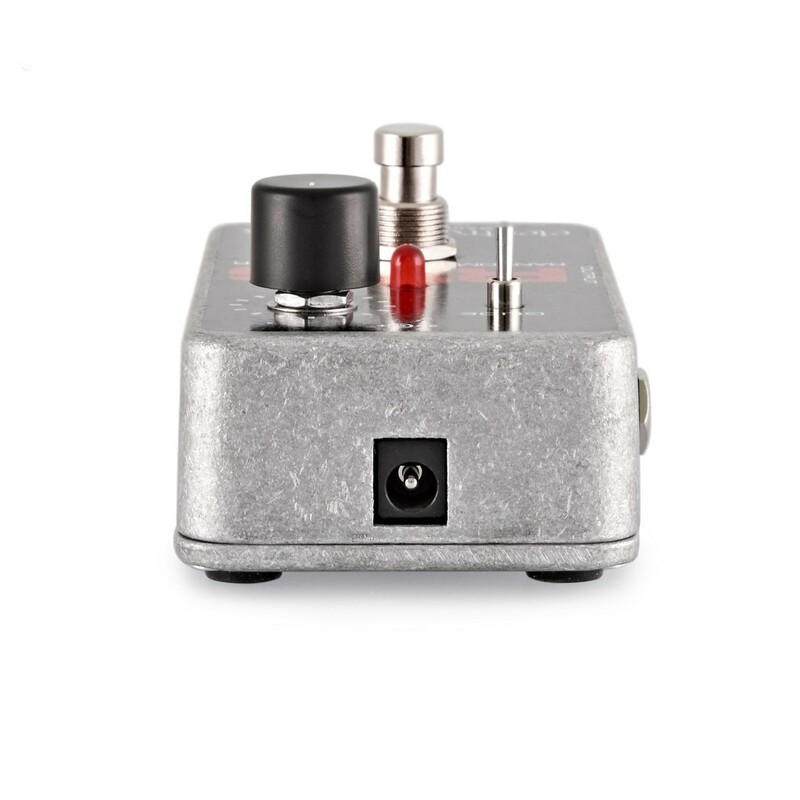 The palm-sized Random Tone Generator synth produces wild, randomly changing tones over a four-plus octave range, creating sensational soundscapes especially when used with other effects. 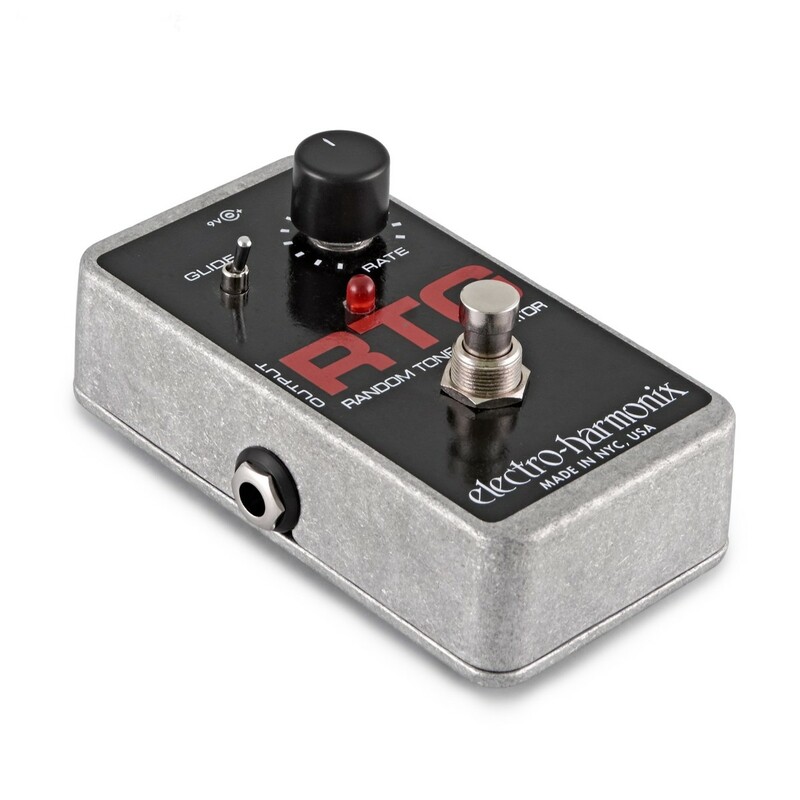 Control the speed at which your tones are generated using the Rate knob and alter with a Glide switch to add portamento or glide between pitches. 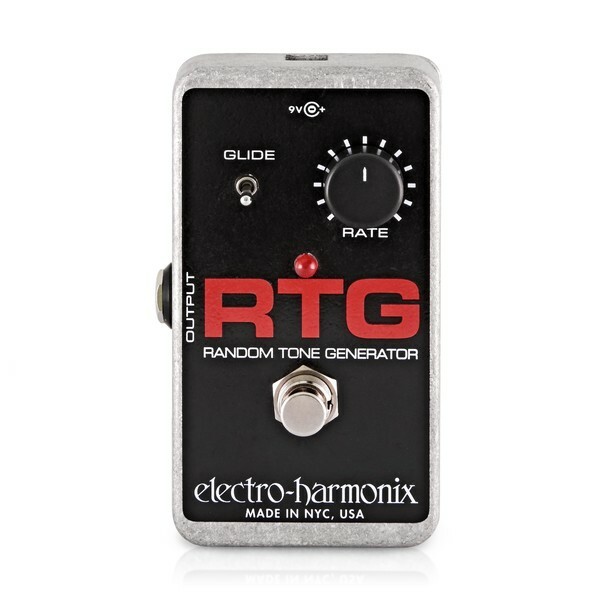 The RTG's I/O is as simple as it gets with just a 1/4" output jack. 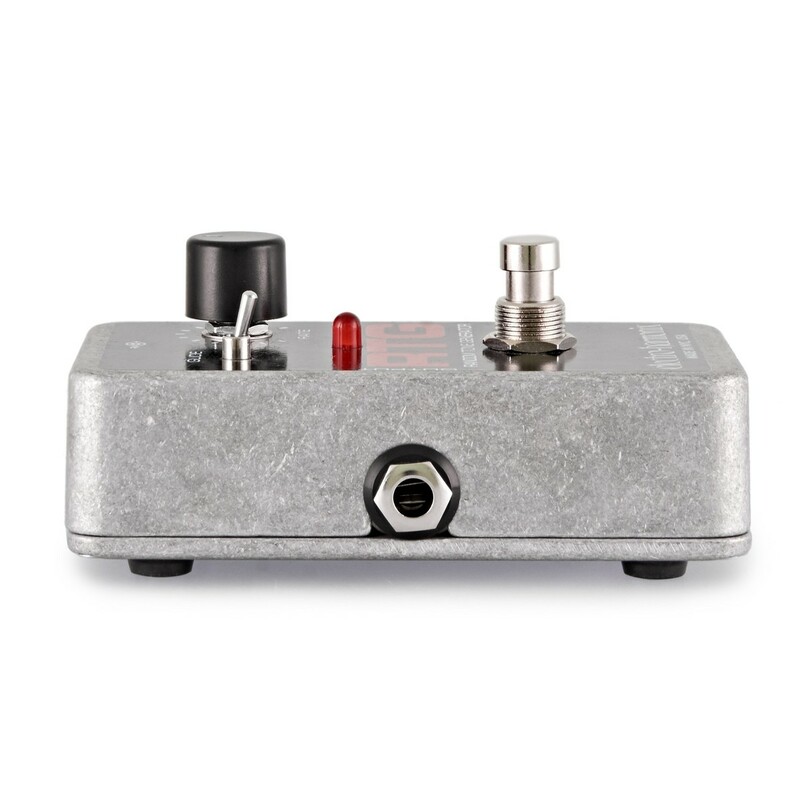 Powered through a standard 9V power supply or battery, a footswitch turns the RTG on or off, with an LED to indicate status.